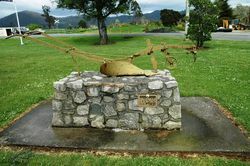 A monument commemorates the first ploughing in the Ringarooma and Legerwood Districts in 1866 by Robert Boyd and James Harper. 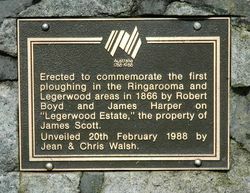 Erected to commemorate the first ploughing in the Ringarooma and Legerwood areas in 1866 by Robert Boyd and James Harper on "Legerwood Estate," the property of James Scott. 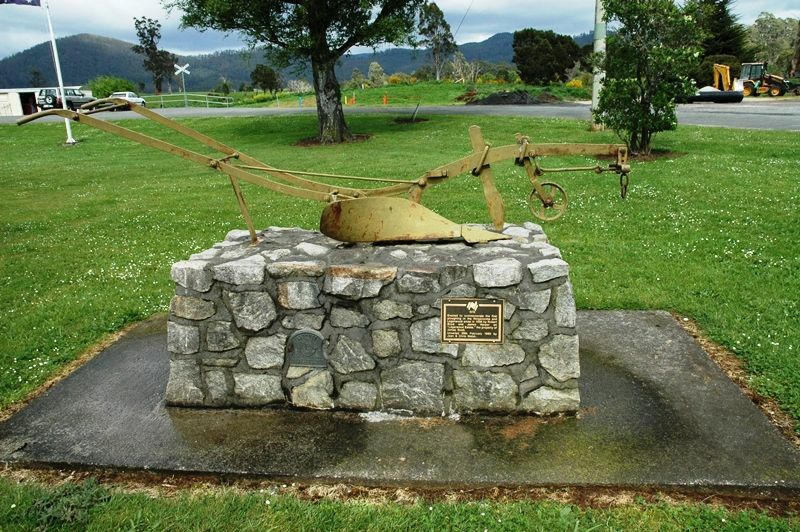 Unveiled 20th February 1988 by Jean & Chris Walsh.